Just a few lines to let you know that I am well and feeling fine. 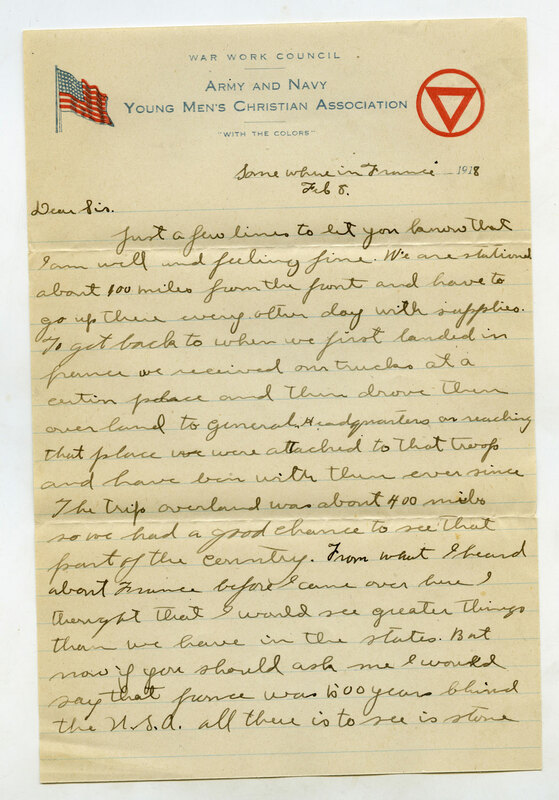 We are stationed about 100 miles from the front and have to go up there every other day with supplies. To get back to when we first landed in France we received out trucks at a certain place and then drove them over land to General Headquarters. On reaching that place we were attached to that troop and have been with them ever since. The trip overland was about 400 miles so we had a good chance to see that part of the country. 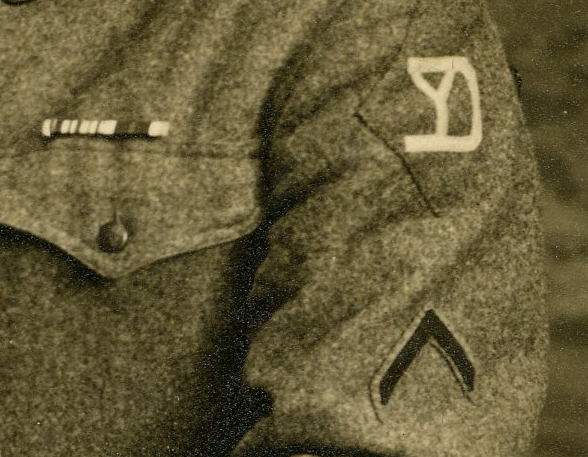 [Sgt. Clark appears to have refreshed his ink supply] From what I heard about France before I came over I thought that I would see greater things than we have in the States. 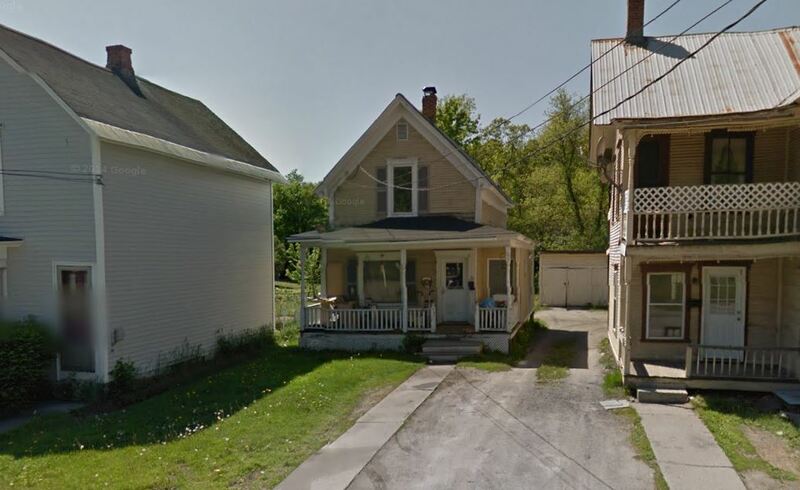 But now if you should ask me I would say that France was 600 years behind the U.S.A. All there is to see is stone (Page Two)buildings two and tree stories high and the streets of Barre would make these streets look like a dump. When they talk about sunny France they will have to talk about it to someone else besides me. I have received six or seven letters from Gin but none from you. What is the trouble, have you forgot that I am living? What is Elmer doing? From what I hear it must be a hard winter on him. We are in luck for one thing and that is we can go around part of the day in our shirt sleeves but in the morning and night we need our coats on. Not that it is so cold but it is damp and it goes right through you. (Page Three) Is Royal staying with you yet? Gee it must seem good to him to get off the farm. How is Steve and all the rest of the folks? Well sis from the way things look over here we will be here for some time to come. Gee if I could only get back in the gold old U.S.A. They would never get me to come over here again. Well it is time for lights out so I will have to bring this to a close. Love to all. Write soon and often. 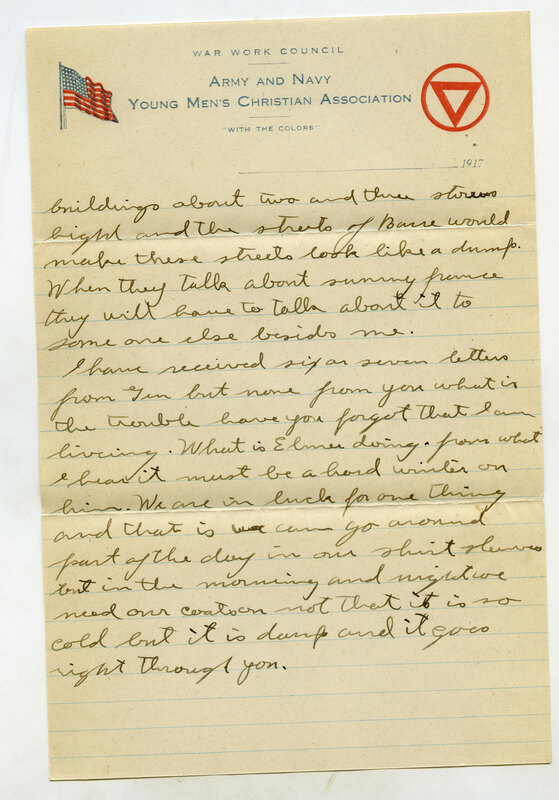 Want to read the letter in the original script? 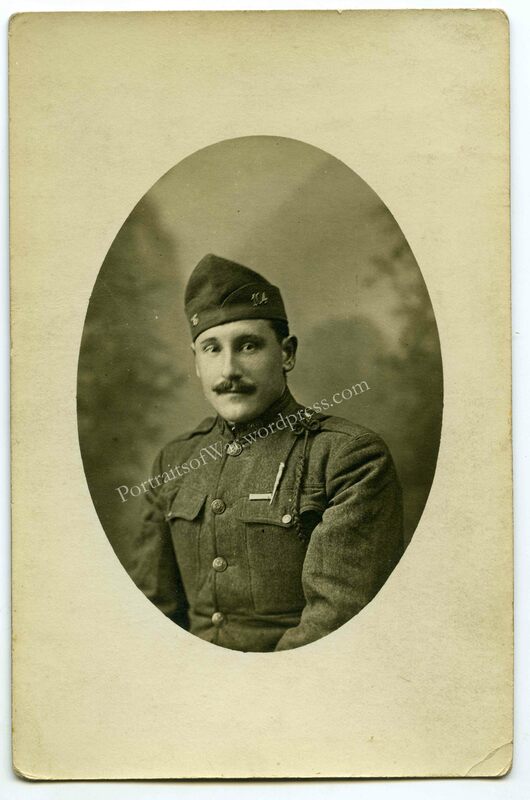 My continued obsession with WWI Vermont material has landed me a new WWI photo taken in France in June of 1918. 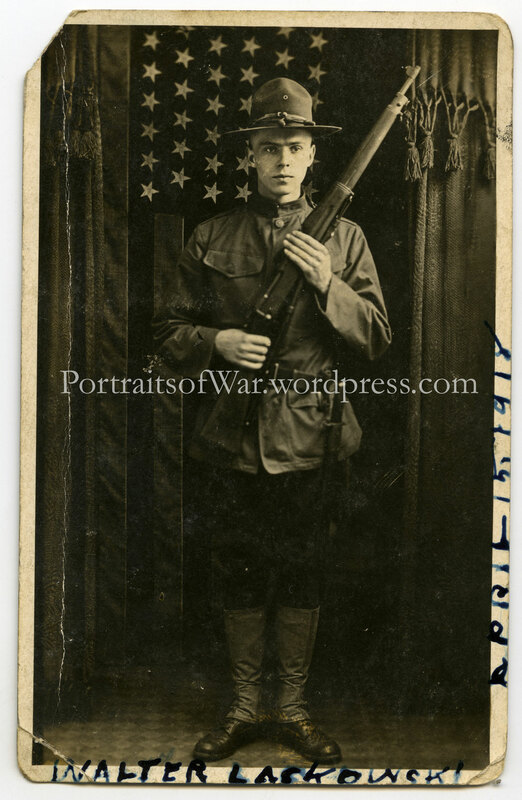 I literally stumbled across this listing; the seller didn’t mention the fact that the soldier was a Vermonter. 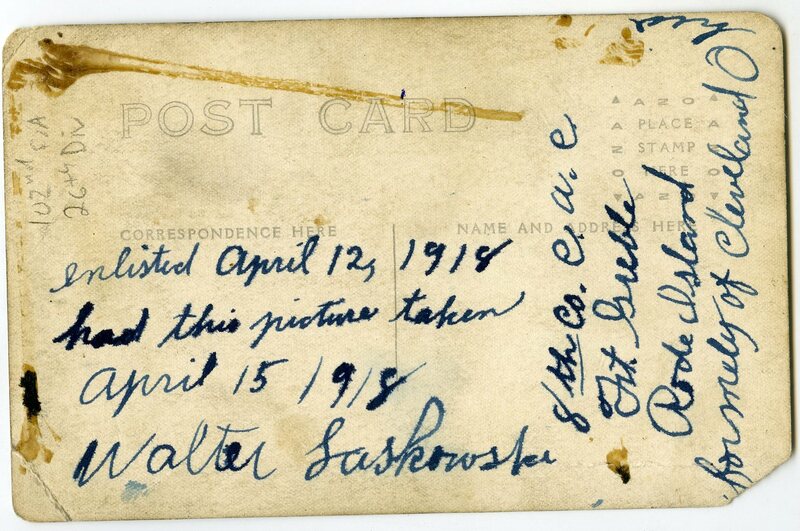 Luckily I checked out the back of the photo before moving on to the next auction listing. 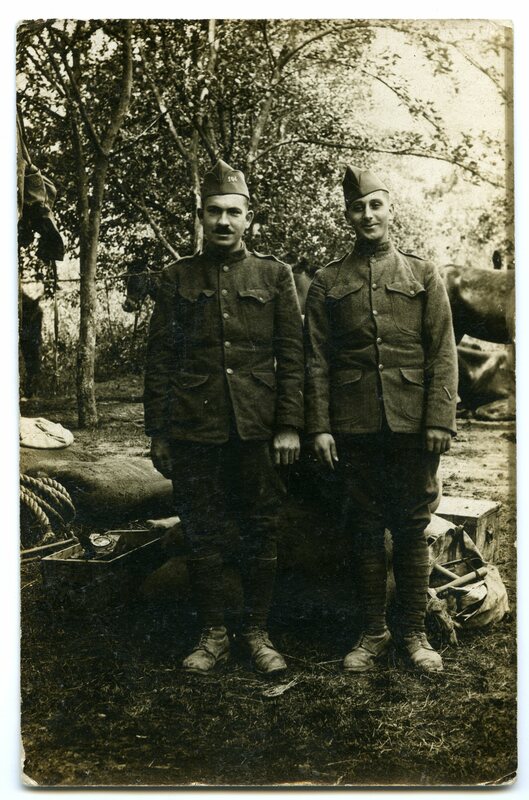 John poses in the above photo with an unnamed friend of his from the 101st MG Bn. sporting a beautiful example of a woolen M1911 sweater. 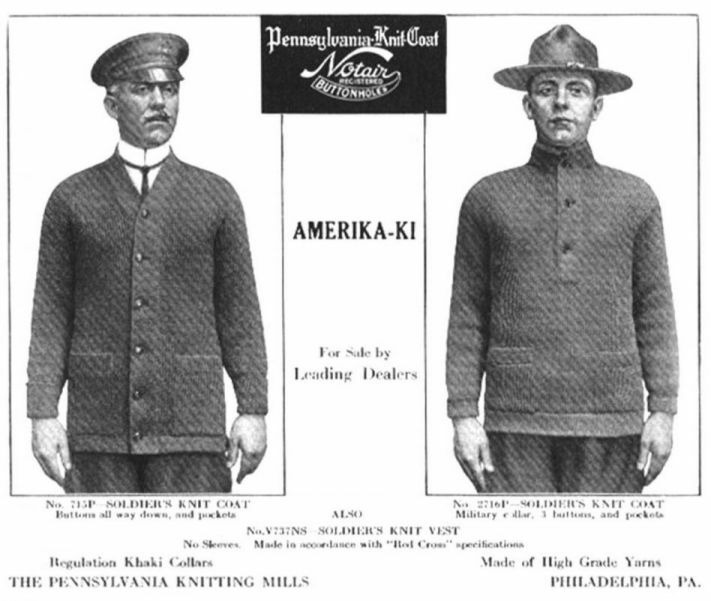 I’ve attached below a period advertisement showing two versions of the service sweater. These were either hand-knit from patterns or could be privately purchased through various supply and retail companies. 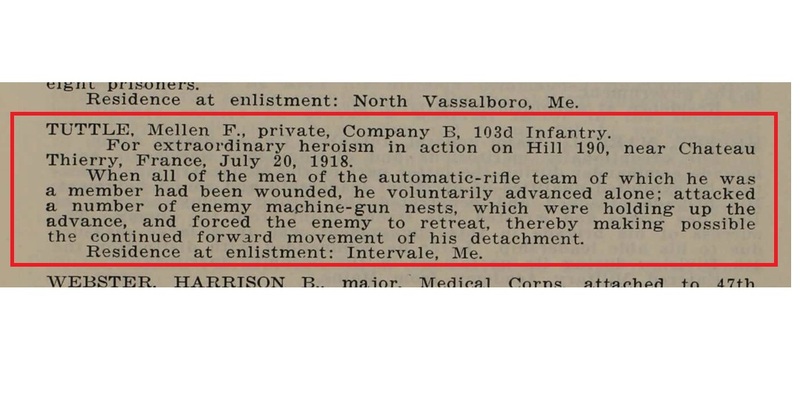 I am fortunate enough to own a copy of the hard-to-find 101st Machine Gun Battalion unit history. 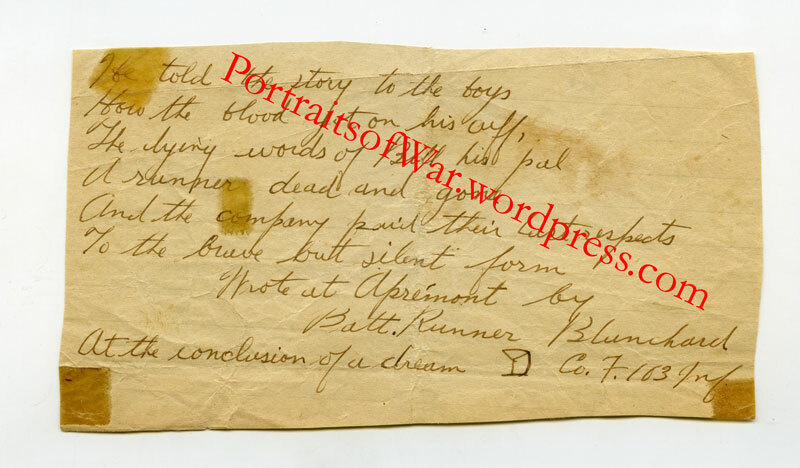 Wagoner John J. Corcoran is listed with a frontal snapshot beside his biography. 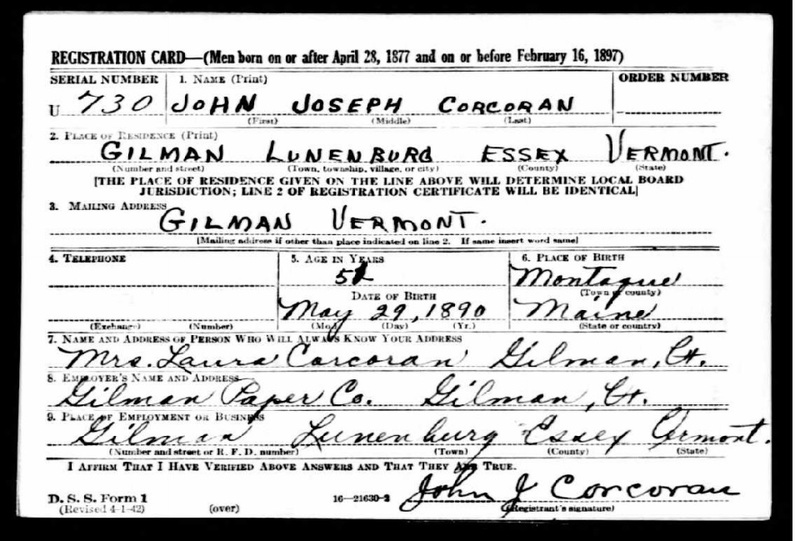 He was born on May 29th, 1890 in Maine and eventually made his way over to Vermont where he lived in Lunenburg, VT working as a paper maker with the Gilman Paper Company. 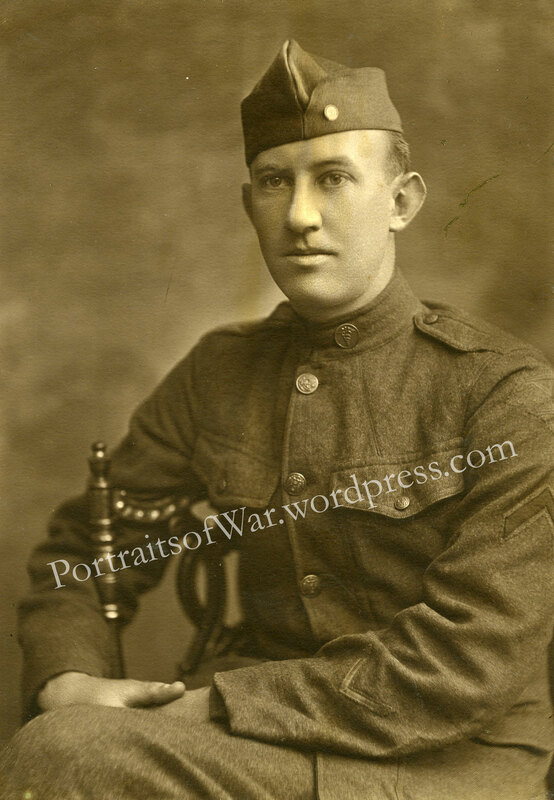 He enlisted at Fort Ethan Allen on June 29th, 1917 with the 1st Vermont Infantry, where he was later transferred into the 103rd MG of the 26th Division. 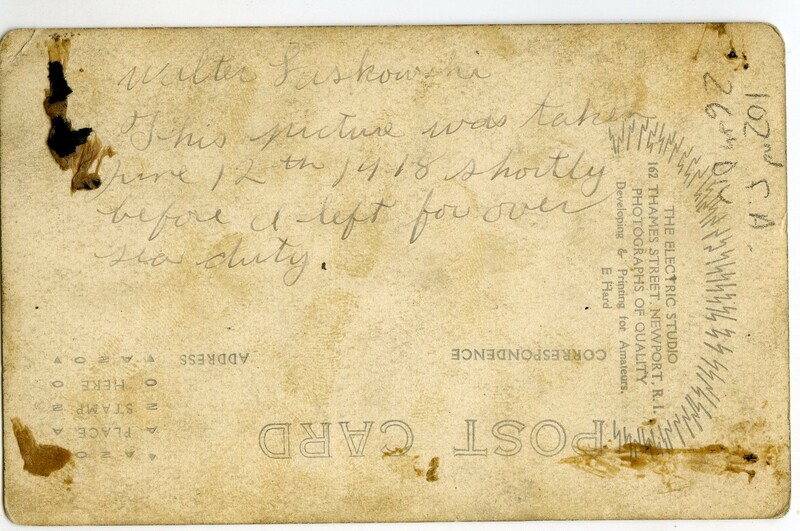 His WWI and WWII draft cards were both listed on ancestry.com and I’ve included them below along with a copy of his death record. 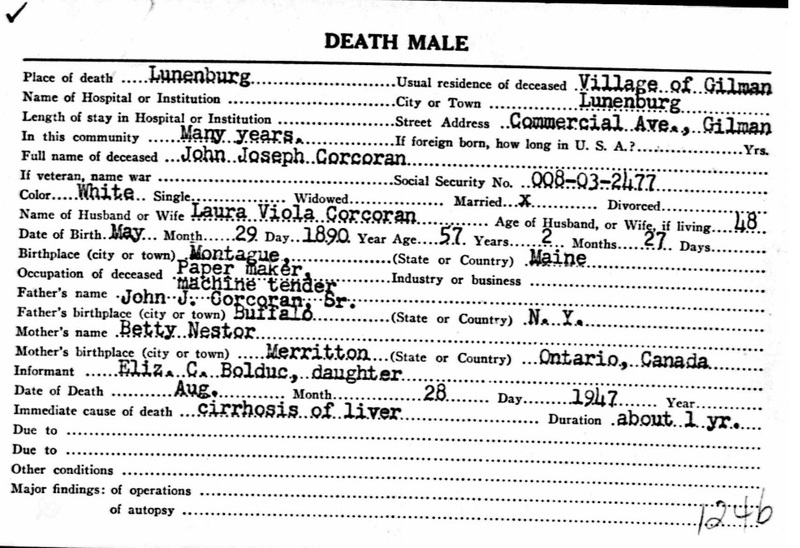 He passed away in 1947 and is buried in Lunenburg. I hope to travel there soon to take a photo of his grave! 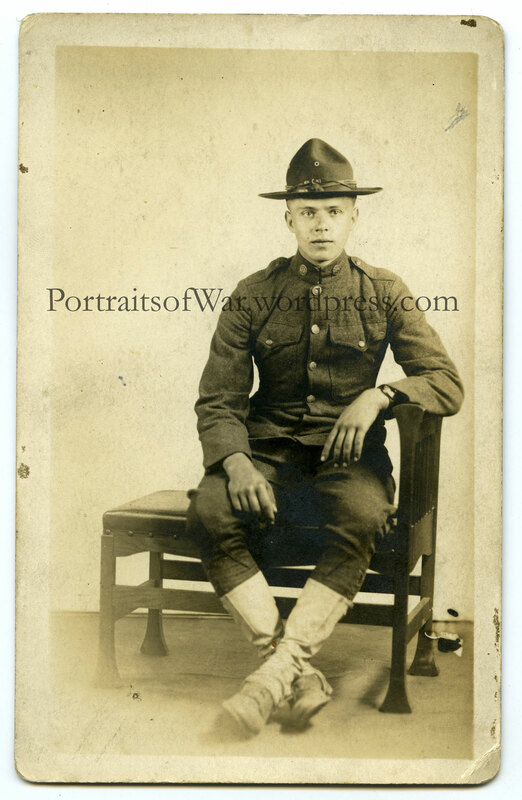 Yet another great Yankee Division photo for my collection; this shot shows a 104th Infantry Regiment soldier wearing his unit designation on his cap. 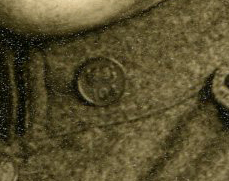 He is also sporting the United States National Guard collar disc. What a great image! He is proudly wearing his French fourragère on his left shoulder. 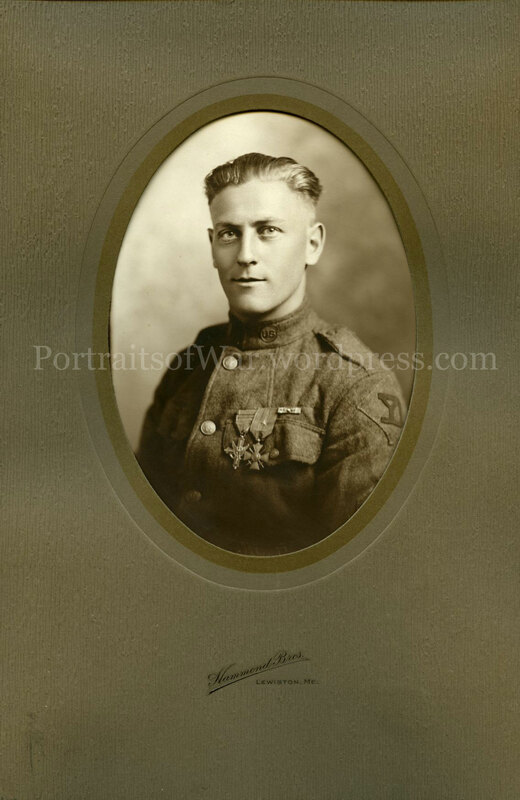 The 104th Infantry Regiment was one of a small handful of WWI US units to be awarded the fourragère for gallantry. Please read the article below for more info! Enemy Storm Troops Hurled Back By Impetuous Yankees Regiment Reveals Its Valor and Fighting Qualities in the Fierce Combats of Bois Brule. 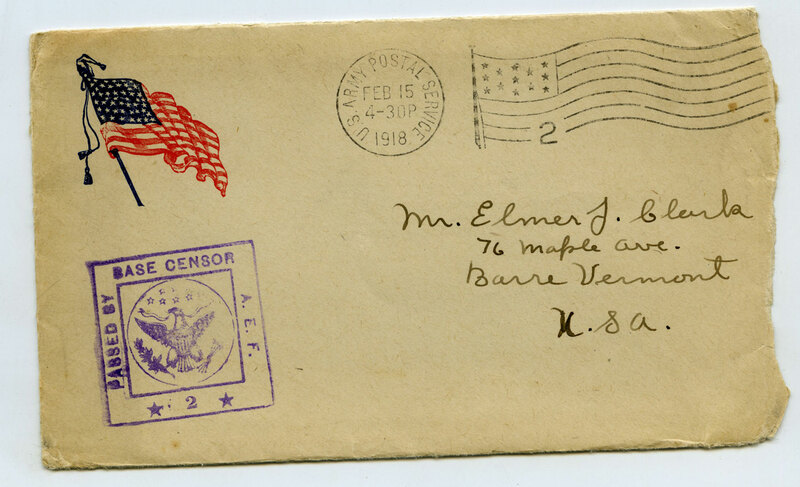 Continued below: The First American Croix de Guerre to be awarded to an entire regiment. This Medal was also given to Captain George Roberts, and the bronze frame was specially cast with the infantry tools of the day around the frame. The frame mold was broke and never reproduced to be one of a kind. 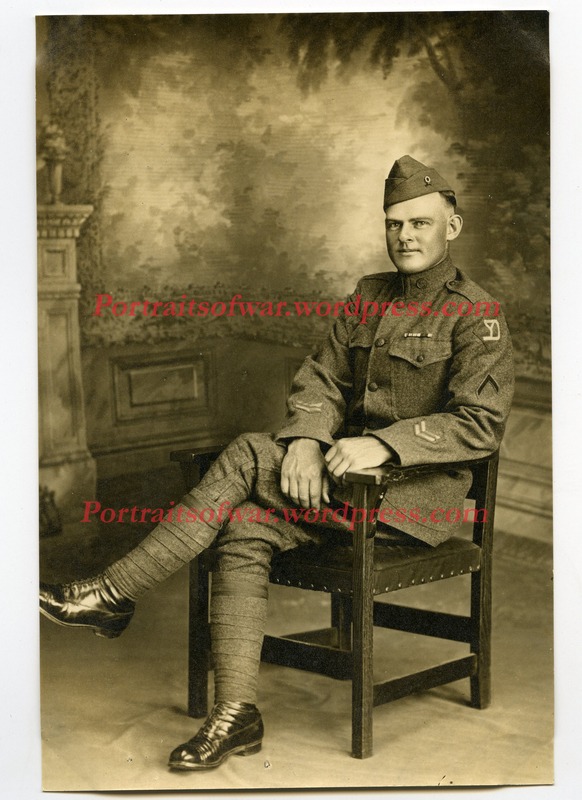 The picture is Colonel George A. Roberts, Commander of the 104th Infantry Westfield Massachusetts. Continued: Bois Brule was in La Reine sector on the southeasterly face of the St. Mihiel salient, a rough and ragged terrain where virtually all the tactical advantage lay with the enemy. In 1914 the sector had seen violent fighting, but as the war of attrition developed, it became moderately quiet with a sort of tacit understanding between the opposing forces to permit the situation to remain unchanged. The town of Apremont, whose name will be forever linked up with the 104th Regiment, lay outside the Allied lines. In the distance, grim and desolate Mont Sec loomed up as a splendid vantage point from which the enemy could observe the American positions. Difficult Spot to Defend. The 26th Division took over the sector the first of April, the left of the line being assigned to the 104th. 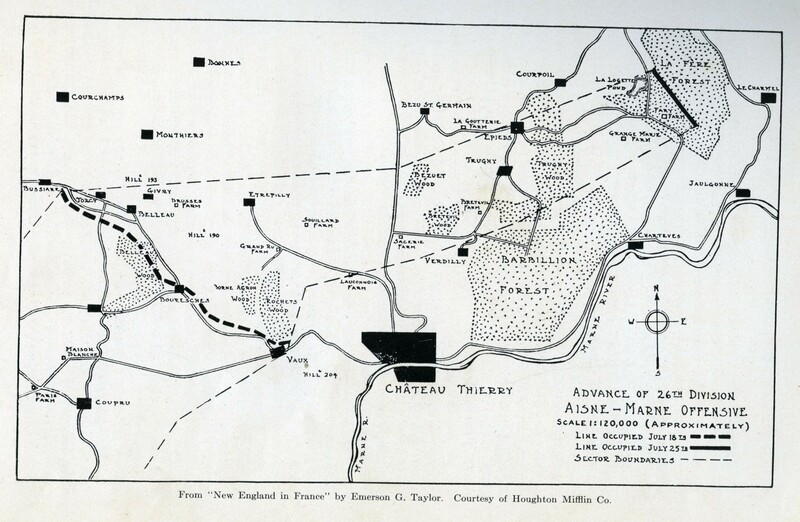 On the immediate left of the Western Massachusetts outfit was the 10th Colonial French Division. The regiments sub sector in the Bois Brule formed an awkward, narrow salient, hard to defend. The trenches were in poor condition, there was inadequate protection against shelling, and the marshy land made trench drainage difficult. 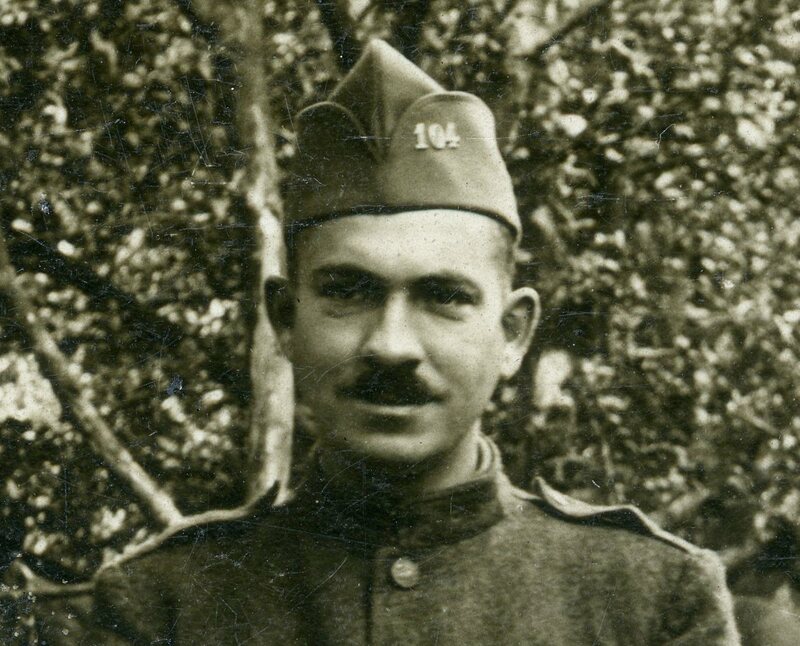 The third battalion of the 104th, under command of Capt. 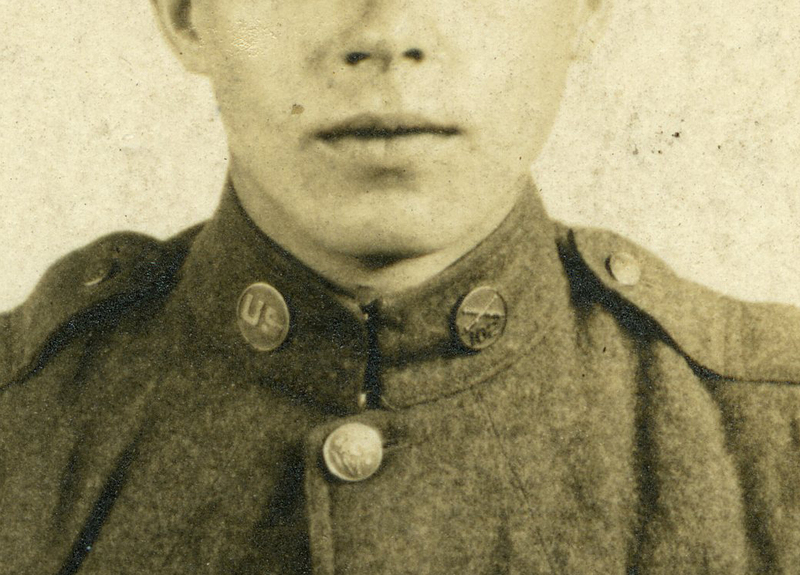 George A. Roberts of Springfield, MA., immediately went into the forward position. 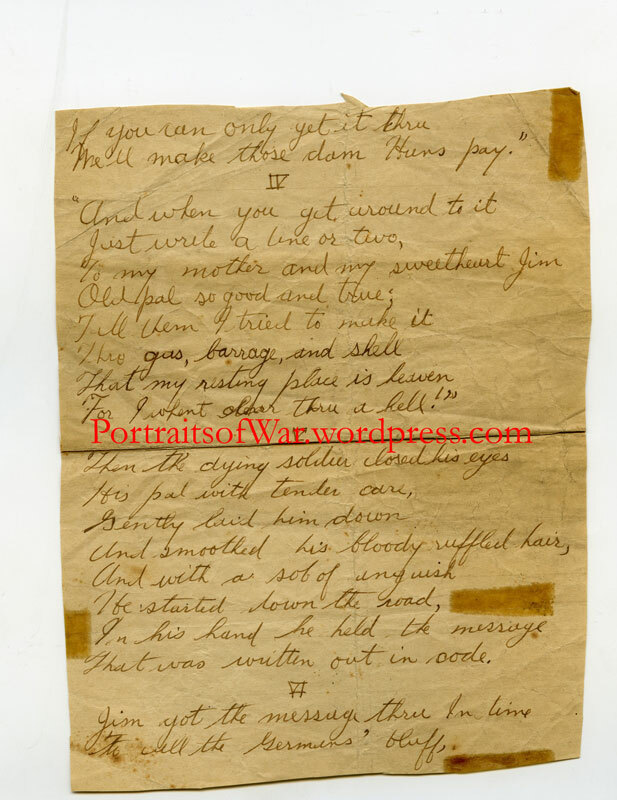 The battalion commander, noting the small salient extending out and realizing how simple it would be for the enemy to pinch in on it and make prisoners of the men holding the position, asked and received permission to straighten out the line. 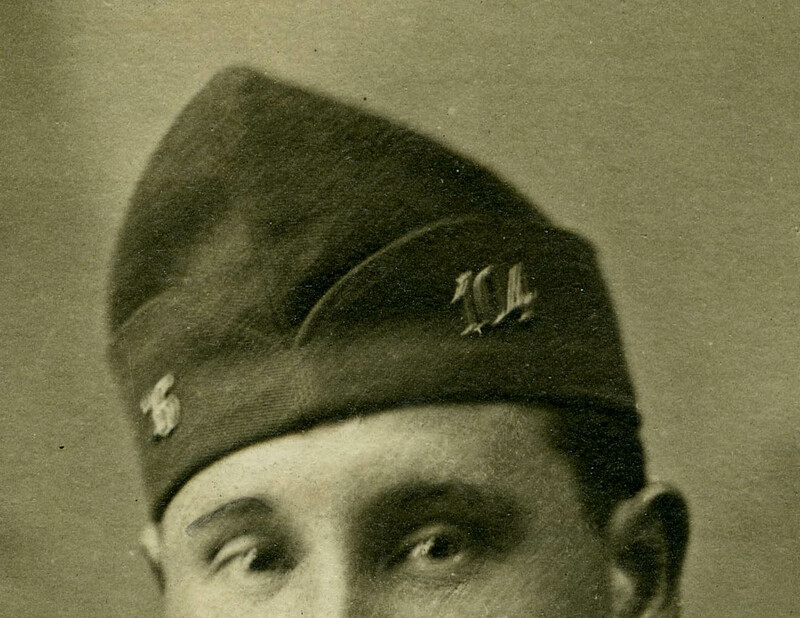 K Co., under the command of First Lieutenant George Hosmer of Springfield, MA., performed this operation successfully. 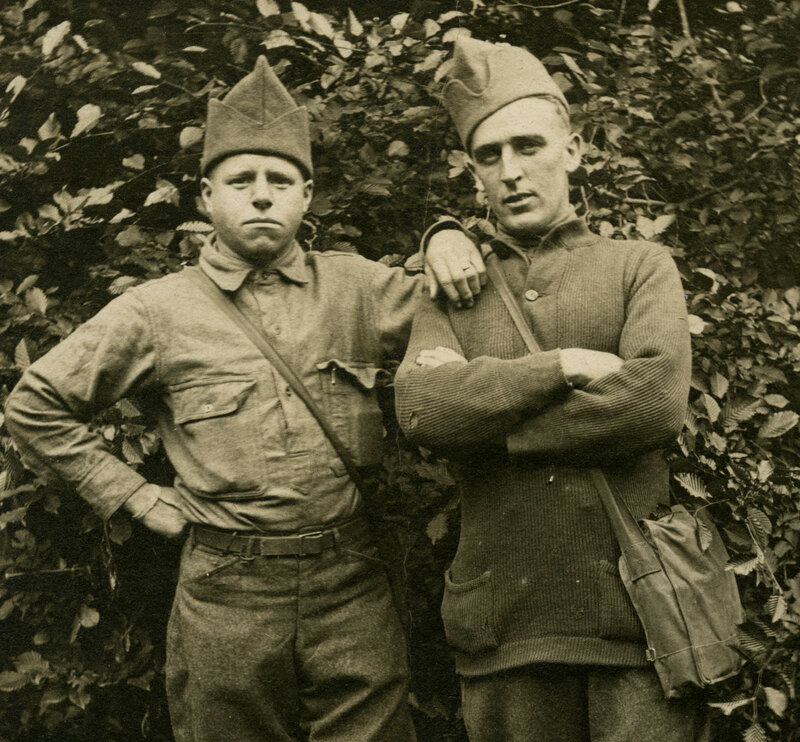 For some unaccountable reason, the French had persisted in maintaining the small and unimportant salient and had often lost prisoners to the enemy who would come over and successfully pinch it out. 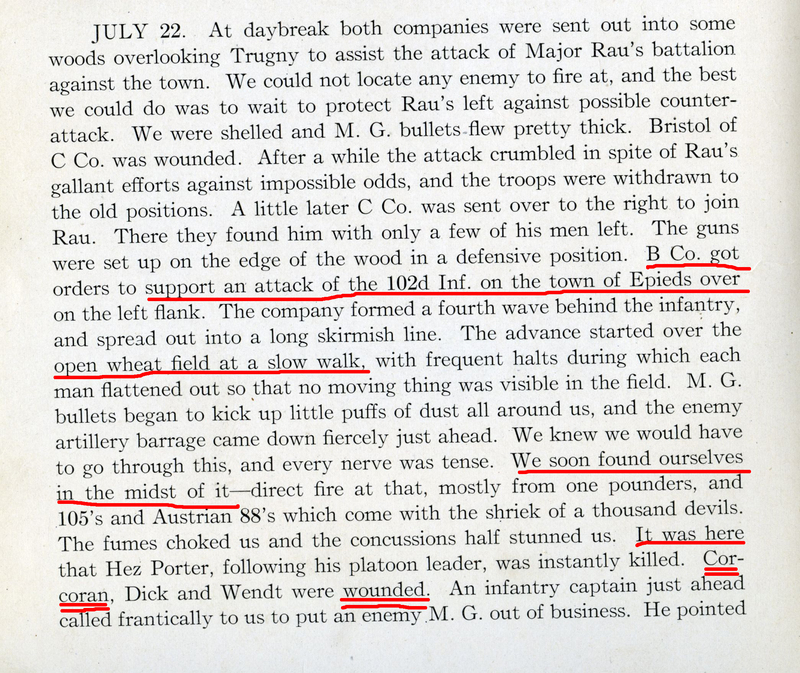 During the first three of four days the outfit held the sector, it was subjected to a harassing enemy fire. On April 5 the shelling grew in intensity and for the following four days the area was severely pounded by the enemy artillery. Evidently, an action was impending and the Germans were bent on shaking the moral of the troops by the concentration of shells. Early on the morning of the 10th, the enemy blasting became particularly severe. The huge projectiles from the German minenwerfers came thundering down on the positions held by the third Battalion, shattering trenches and subjecting the men to terrific punishment. Capt. 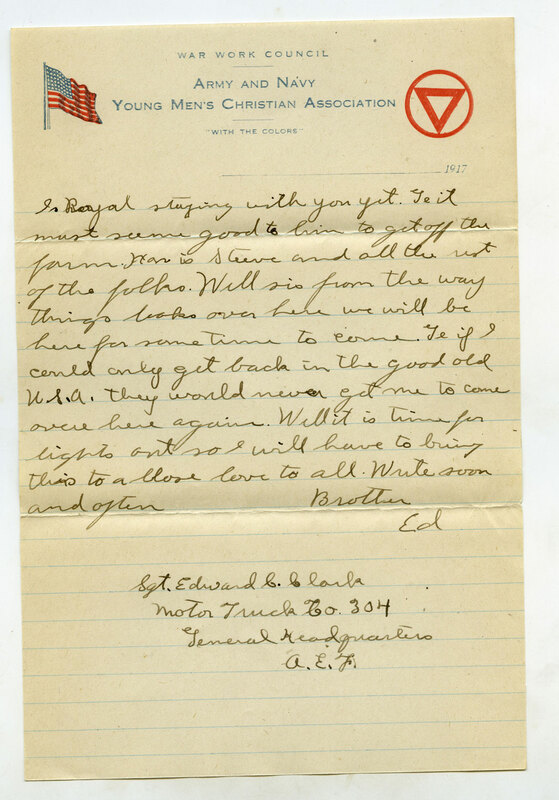 Roberts sent back word that help was needed to evacuate the wounded and suggested that the bandsmen be used as stretcher bearers. The suggestion was acted upon and the valiant work these men did under fire won for several of their number decorations from the French and American Governments. 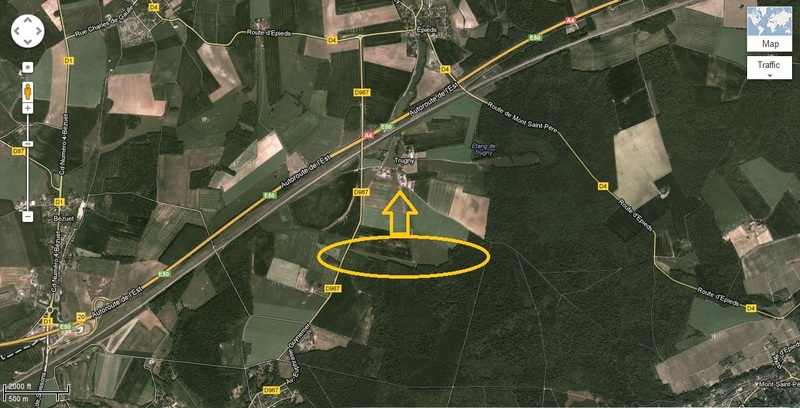 .As the dawn crept over Bois Brule on April 10, the enemy troops made their appearance on the front held by the 3rd Battalion – a hillcrest. They came on relentlessly, but that assault wave of storm troops failed to dislodge the men of Western Massachusetts. It was a severe test of arms in which much technique of warfare was forgotten by the green Yanks who nevertheless battled vigorously and effectively to beat back the veteran enemy. The artillery fire also was of great aid in stemming that first tide. 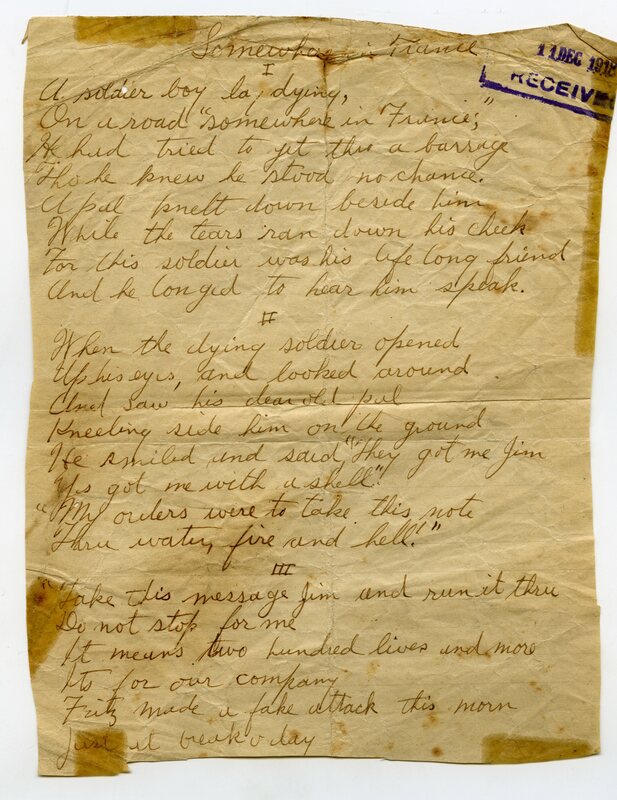 Thus for the moment the 3rd Battalion had checked the attack on the night of the 11th despite heavy enemy shelling, the second Battalion came in to relieve the 3rd which had held the position for 10 days. On the 12th the enemy came over again with renewed energy. This time the French on the American’s left fell back, exposing the left flank of the Yanks. But the Americans rose to this emergency and by a vigorous counter-attack, driving back remnants of enemy groups. Capt. 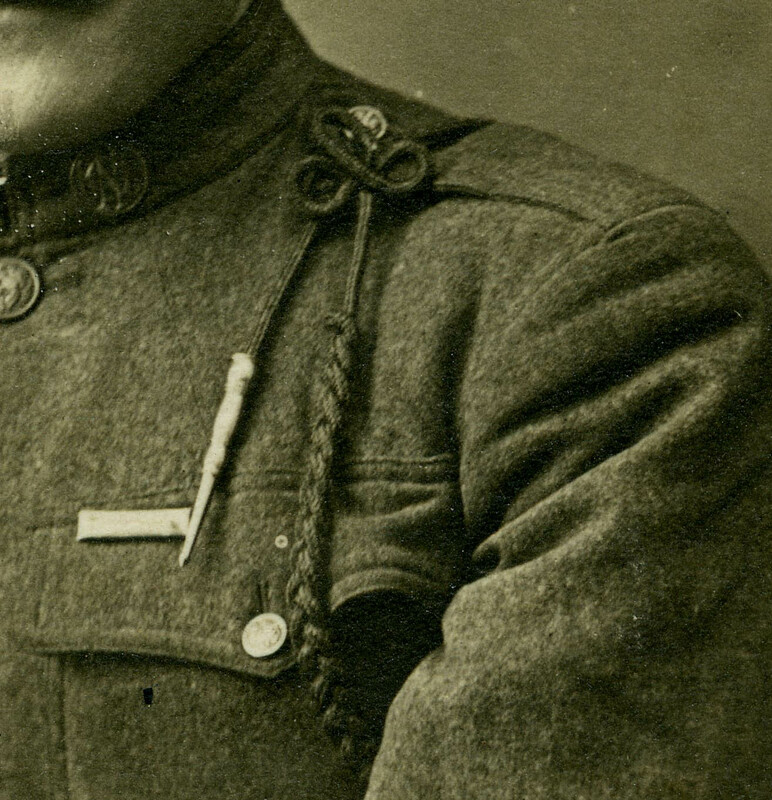 Roberts was among those decorated with the French cross. 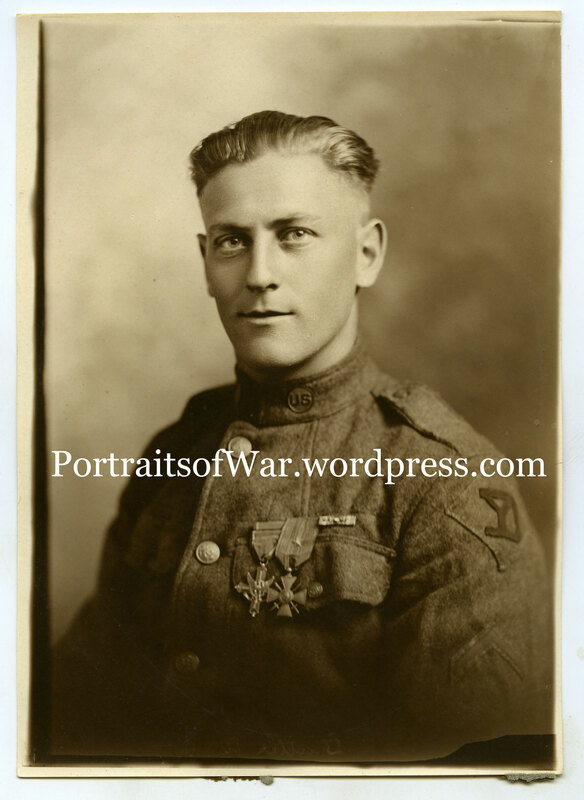 He was also recommended for the American Distinguished Serviced Cross. Later, in the Bouconville sector, he was slightly wounded and in July he was transferred to provost marshal duty in Lanon.